Now here’s some interesting news that is sure to create a lot of buzz among iOS and Android enthusiasts. We have seen the feud going on for years between both parties and it still continues to do so with each new Android device competing with its Apple counterpart and vice versa. But what if there is a way to simultaneously run your iPhone on both iOS and Android platforms? Sound surprising? Well, a guy who goes by the name of Nick Lee has figured a unique way to run Android on an iPhone 6S…..well sort of actually! 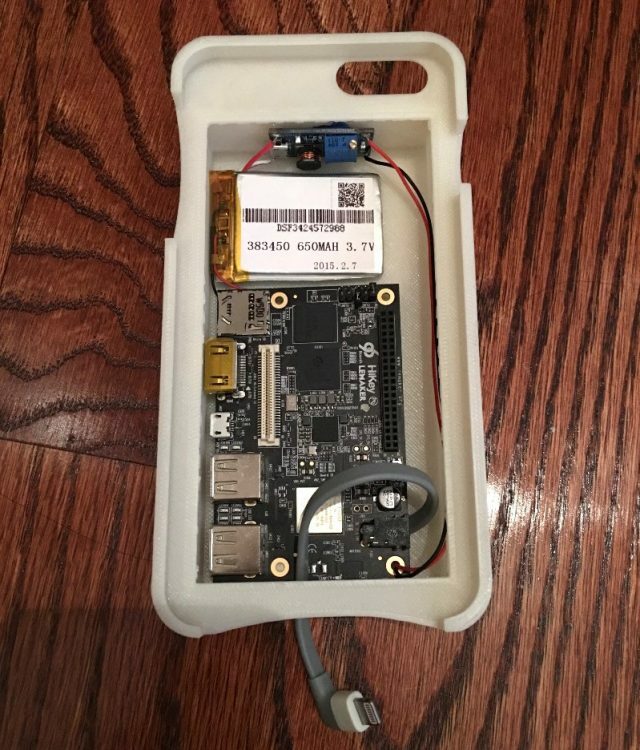 Currently working as the CTO of a mobile development studio in Brooklyn called “Tendigi”, Nick built a custom 3D printed enclosure which acts as an iPhone 6S case. Inside the case lies a Lemaker HiKey circuit board that runs on a customized version of Android Marshmallow. Using a lightning connector to plug into the iPhone, the Tendigi iOS app allows the two devices to interact with each other. Technically speaking, the iPhone’s screen acts as a display and from what we see in the video, it’s doing a pretty decent job. The case also includes openings for HDMI and USB ports and even has a SD card slot. The whole idea of an iPhone being able to run on Android was derived from a previous experiment in which Nick was successful in running Windows 95 on an Apple Watch. Do watch the video and judge for yourself in case you have trouble believing what you just read. So what do you guys think of this unique concept? Could it be adapted in the main stream consumer market? Do share your thoughts with us in the comments below. Facebook invites Beta Testers for upcoming revamped Messenger App. Are you up for it?